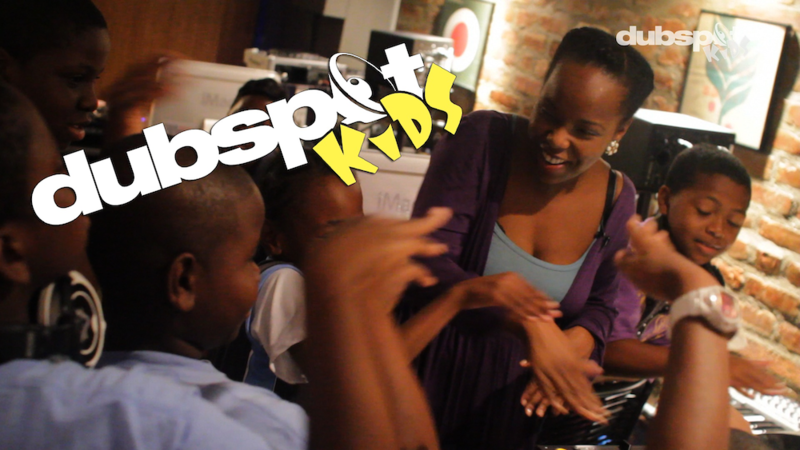 Dubspot Kids DJ / Producer Program was recently featured on New York City’s FOX 5 news channel in their roundup of alternative after-school activities for kids growing up in and around the five boroughs. The news feature arrived just in time as we are preparing to announce upcoming DJing and Production classes for autumn and winter, 2014! Our Kids DJ / Producer Program is a fun educational program in which students learn about music by studying DJing and electronic music production. By mixing records with Serato and producing their own beats and sounds with Ableton Live, young students learn the fundamentals of modern performance and composition and are encouraged to express their creativity through music. Hit the Decks: DJing for Kids is where kids get to learn the basics of DJing, mixing and scratching vinyl records as well as digital DJing with a computer. At the end of this class, students will come away with their own recorded mix and fuller understanding of the fundamentals involved in DJing. The Beat Generation course exposes kids to the creative art of music production using Ableton Live, one of the most advanced yet most intuitive production tools available. At the conclusion of the course, students will come away with their own original song and one remix, produced in Ableton. A serious, adult-level program in both DJing and production, expertly tailored to young students. Mix, scratch, and DJ with Serato Scratch Live, and complete a recorded mix to take home. Get a taste for DJing by learning the basics of mixing and scratching. Learn how to use DJ gear through hands-on guided experience, learn to play and mix tracks in Serato Scratch Live. Get personal instruction at your own Mac creative station. Anyone can become comfortable with playing and performing music with the help of our expert training and unique curriculum. Go beyond just listening! Make your own music and leave with copies of your first original productions and a remix. Explore music and create your own productions in a positive environment. Get a hands-on interactive tour of some of today’s leading music creation tools and build confidence in your artistic skills. September 21st to November 23rd (10 weeks) – CLASSES JUST STARTED!